AAMC Notification 2018.Aam Aadmi Mohalla Clinics (AAMC) has released a notification for the recruitment of Pharmacist, Multi Task Worker and Mohaila Clinic Assistant vacancies. 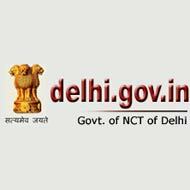 Under the Directorate General of Health Services, Government of N.C.T of Delhi.Check the eligiblity and notification prior to apply for the positions. 10th class passed candidates can apply for Multi tasking worker jobs. Auxiliary nursing midwifery candidates can apply for Mohalla Clinic Assistant jobs. Diploma in pharmacy / bachelor degree holders can apply for Pharmacist post. In between 20-50 years candidates can apply for pharmacist & assistant posts. In between 18-35 years candidates can apply for Multi Task worker jobs. Candidates will get monthly income as per department norms. Only online mode of applications till 14th October 2018 will be accepted for AAMC Delhi recruitment. http://aamc2018.co.in/ is the link to apply online.